Take rectangle tool click on the art board in the appeared dialogue box put value 0.25 for width and 0.4444 for height. Make another rectangle with the value 0.4444 for width and 0.4444 for height. Now copy the small shape and place it at the same alignment beside the big shape. Now group all three shapes select all Ctrl+A and for group Ctrl+G. Now copy the group object by Alt Draging. Now copy it more four or five by pressing Ctrl+D. Finally we have got the chain for the wrist watch. Now we shall make the main watch. To do so we have to take ellipse tool and click to the art board in the appeared dialogue box put 1.85 in for width and 1.85 for height. Now copy the ellipse in the front of previous one to do this select the ellipse and press Ctrl+C and Ctrl+F for paste in front. 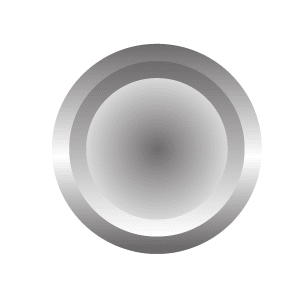 Now make some small the copied ellipse by holding the Alt+Shift key. Now change the gradient color of this ellipse. 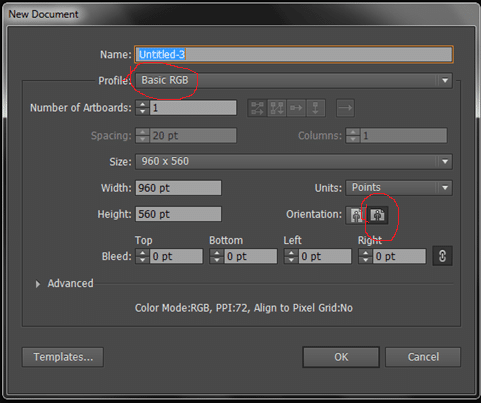 From the gradient panel just drag down the first color stop and change the location of the middle color stop to 0%. 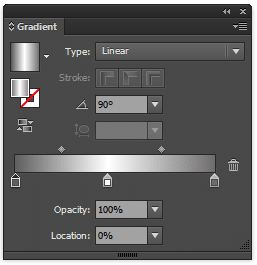 Now copy it again previous way and make it some small following the previous steps finally change the gradient type linear to radial. This the final dial of the watch. It is time to join the dial with the chain for that we have to make another shape. To make this shape we will take polygon tool and will draw polygon. Now we shall delete two anchor point with the delete anchor point tool from the top portion. And now an anchor point have to add at the top line of the half polygon after that we have to make this anchor point smooth and curve the top line to down. Finally we have to adjust it with the dial and chain. Now it is time to set the time indicator. 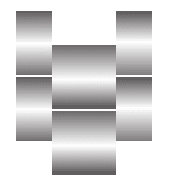 Set horizontal and vertical guideline at the center of the dial. Draw a line as time indicator following the vertical guide line finally we will copy it. Now select the line with selection tool then take the rotate tool click the intersect point of horizontal and vertical guide line holding the Alt key a dialogue box will appear where you can set the angle degree, in the angle value box type -6 and click copy now you have two line we need more 58 line for make it 60 to do this press Ctrl+D until it reach it 60. Now just make hour hand, minutes hand.